What will I receive after my order? With all Unlocking Code orders we usually deliver a complete set of unlocking code. Most of the time you just need the Network Code (NCK) but when needed you'll also receive Unfreeze Code, Reset Key, or Service Provide Code. In the same email that includes your unlock code(s), you will also receive complete instructions on how to use it. Most of the time, you will just insert the SIM card in the phone you want to use it with and the phone will prompt you for the unlock code. And in case you need any assistance, our customer support is always there to answer any questions you might have in less than 12 Hours from Monday to Friday. 7 years now and strives to provide the best service for our cliental. All products, and company names, logos, and service marks (collectively the "Trademarks") displayed are registered® and/or unregistered trademarks™ of their respective owners. 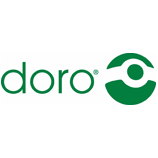 Wicked Unlock is not associated with or sponsored by Doro. The authors of this web site are not sponsored by or affiliated with any of the third-party trade mark or third-party registered trade mark owners, and make no representations about them, their owners, their products or services.